Neither of the vehicles I drive most often has the ability to stream music, until now. With the iClever HB-F01 Wireless FM Transmitter Radio Adapter Car Kit I now can play anything from my phone in either vehicle. 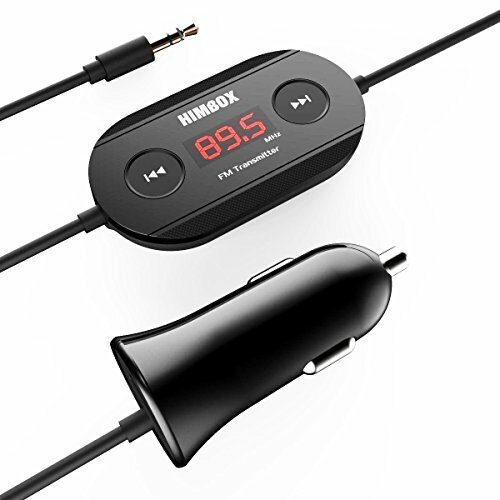 It is easy to use by plugging everything in as described in the instructions, setting both the transmitter and car radio to the same frequency, and it is ready to go. I love being able to listen to my phone while driving. I haven't tried using it for hands free phone calls yet, but everything else works well. I will be testing it further and will update if my opinion changes, but so far I am enjoying the ability to listen to music from my phone and tablet while traveling.